Portfolio Development offers insight into building a portfolio and into the art school admissions process. These studios are meant to help students increase both their inventive and expressive portions of their artistic portfolio. For students in Grades 9-12. 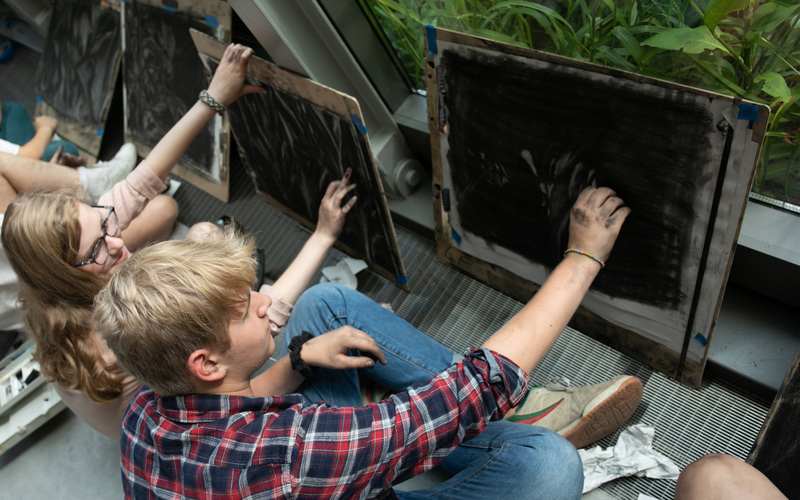 Offering elementary through high school students an affordable opportunity to engage in the process of art making and supporting the development of MassArt students as art educators. Courses in a variety of disciplines and media are available. For students in grades 3-12. An intensive vacation week program for students Grades 7-12, offered during April school vacation. April 15-19, 2019. A fun and rigorous program for young artists to develop their creative voice and skills in disciplines they love, including painting, sculpture, fashion, architecture, computer animation, and more. For students entering Grades 7-9. Offering high school students serious about fine art and design a choice of focused studios to help develop technical skills and build studio practice. Students have an opportunity to develop work for their portfolio. For students entering Grades 10-12. An intensive four-week program for the young artist who is serious about their work. Students from around the world come together to experience MassArt and the environment of a higher education institution in the visual arts. For students entering Grades 11-12.